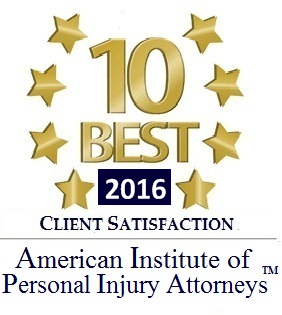 Q: What is the Rhode Island Personal injury Claims process? A: We exchange information with the insurance company including proof of medical expenses, lost wages and proof of liability. We negotiate with the insurance company to get you the best settlement possible. If we cannot reach a high settlement with the insurance company, then we file a lawsuit. After a RI car accident lawsuit is filed we may take depositions of witnesses. Depositions in Rhode Island usually take place in a lawyer’s office. The insurance company may request that you are examined by a doctor selected by the insurance company. (This is known as an IME, or independent medical examination). If the Personal Injury lawsuit cannot be resolved, the lawsuit will be scheduled for a jury trial. Q: Will Slepkow & Associates inc. pay costs in a Rhode Island Personal Injury case? A: We pay all reasonable out of pocket expenses for your Rhode Island Personal Injury Case and get reimbursed when the case is settled. Q: What are the customary out of pocket expenses? The filing fees are usually less than $200 for a Rhode Island Superior Court case. Deposition transcripts typically cost between $250 to $750. RI Personal Injury Lawyers may pay certain Medical Doctors to write Medical reports. The most expensive expense is the cost of Medical Doctors or experts testifying at trial. For Personal Injury or auto accident cases with lower values, we will discuss with you making reasonable choices regarding case costs. Q: How much is my Rhode Island Auto Accident Worth? A: We analyze many variables in determining the value of your RI Automobile accident or Personal Injury claim. If Liability is uncertain then the value of the case will be lowered. In some cases, it is unclear which party is at fault for the Car Accident and the injuries are not serious. These types of Car Accident cases may have low value and may not be worth pursuing because of the time and expenses involved. In many Personal injury cases, Liability is clear and a claimant has suffered very serious personal injuries. In these types of cases the most important factor is the amount of insurance the at fault party has. Q: What if I reside out of state of Rhode Island but the Accident was in RI. A: We have many clients who reside in other states. We do everything we can to accommodate out of State Clients. We will limit the amount of times that you will have to travel to Rhode Island. There is a chance that you will never have to come to come to Providence. However, you may need to travel to Rhode Island for a Deposition, IME or for the trial. If your case is settled prior to any depositions then it will not be necessary for you to travel to RI. 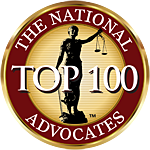 The Rhode Island Supreme Court licenses all lawyers / attorneys in the general practice of law, but does not license or certify any lawyer or attorney as an expert or specialist in any field of practice. 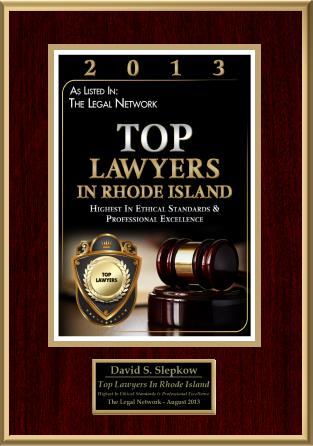 David Slepkow is a Rhode Island Car Accident Lawyer helping clients with AutoAccident, Slip and Fall and personal injury claims.David Slepkow is a partner at Slepkow Slepkow & Associates, Inc. in East Providence, Rhode Island. Slepkow Slepkow & Associates, Inc. was established in 1932. Attorney, David Slepkow is a member of the Rhode Island (RI) and Massachusetts (MA) Bar Association and the Bar for the Federal Court First Circuit, District of Rhode Island. David can arrange evening consults. David never charges any fee for personal injury case, car accidents and slip & fall cases unless successful.